This entry was posted in Job Interview, Military Transition, Retirement, Transition Posts and tagged active duty, career, EAS, Employment, Job Interview, Job Seeking, Leadership, Marine Corps, military, Military Transition, Resume, transition, Veteran. Bookmark the permalink. Interesting read. I guess it would depend on what type of job you would be interested in once you get out. Take law enforcement for example: In most large agencies, no specific MOS is going to give you an advantage. A cook is viewed the exact same way as an MP or grunt. Not all Marines join to gain future job skills and there is nothing wrong with that. Serving in the USMC is a once in a lifetime opportunity, so choosing a job that is not found in the civilian world isn’t always a bad thing. When young, most Marines don’t know what their future civilian job will be. They might have an idea, but reality will teach most of us that we must go from job to job until we find one that works for us. If we take a job in the USMC that supposedly translates to a civilian job, we are taking a huge risk by assuming that we will like this job as a career. That is true. 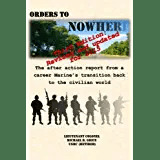 There is certainly nothing at all with any MOS- being a Marine Artilleryman was fantastic – I really loved my job and my career as a gunner. I would not have changed a thing. That said, being a Marine Artilleryman did not tranate directly into the job market, and the lesson that I learned is that being a Marine will open a lot o doors, but it is the skill set that you offer an employer that gets you the job.